Despite the fact, at the time of writing, Theresa May is still Prime Minister, Getintothis’ Jono Podmore ponders her political obituary. When Theresa May called her press conference for 5 pm on Thursday I thought there was a 50/50 chance she would be resigning – echoing the behaviour of her predecessor, the invisible David Cameron, the arrogant, ignorant little man that fired the starting pistol for the entire Brexit marathon of doom, and then slunk into the shadows of his ancestral shed. Back in 2016 May was in a more comfortable job, as the most vicious piece of work we’d ever had as Home Secretary. Underfunding the Police, victimising people on the basis of race and origin, and suppressing dossiers on child-abuse are highlights. 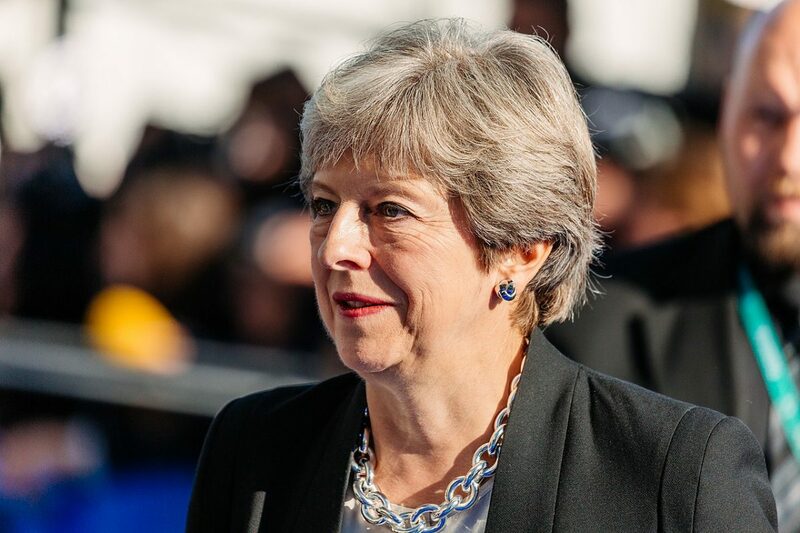 But then it was on to being Prime Minister – and a string of scandals, brutal austerity measures, an increasingly divided nation, a botched general election, and rebellions in her own party against the backdrop of the embarrassingly incompetent Brexit negotiations with the grown-ups in Brussels. – yet she hung on … until Thursday. Revealing the result of years of negotiation with the EU for the UK’s withdrawal lead, in the space of 24 hours, to the loss of 7 ministers including her opportunistic fool of a Brexit Minister, to nearly 2% being wiped off the value of the pound, and to 3 hours of being pilloried by all sides in parliament for the parlous state of the document she had presented. Prof. Phil Syrpis, University of Bristol. NO ONE voted for that. Leave, remain or abstain, not a single voter in 2016 optimistically thought exercising their democratic right would lead us triumphantly in to The Ukraine Option: a minor player in the single market with no rights over how that market functions with final decisions as to our status to be made by 20XX. With this miserable tally still steamingly fresh, and having lost the support of chunks of her cabinet and many in her party, this was clearly time to go. This is from a woman who has quite deliberately starved our public services of funds, in order to run them down in preparation for sale: including the NHS and most perniciously of all the Police. But where does this obdurate tenacity maintained with barefaced mendacity come from? What could possibly inspire anyone to lie so wholeheartedly to an entire nation with the world’s media scrutinising every word, all in order to keep a nightmare job she clearly can’t do? We might find the answer with her husband, Philip May. Since 2016 he’s been Relationship Manager for American Financial Services giant Capital Group. Every second Theresa is Prime Minister, whatever disastrous, brutal, divisive, incompetent nonsense she gets up to, Philip can provide his clients a direct link to the apex of political power in the UK. Capital Group are major share holders in BAE and Lockheed for example. Arms manufacturers who directly profit from every bomb dropped on Syria, on Yemen, or on Palestine. Capital Group is a multi-trillion dollar organisation at the heart of American capitalism, providing financial services to the very corporations that are waiting in the wings to buy up the NHS, the Police, our prison service and the remnants of our public housing when (or if) the Conservatives finally manage to sell it all off. The sale will be made easier for them without EU regulation, so as his wife lurches from crisis to crisis, Philip is rubbing his hands. But those crises themselves are a godsend to the hedge funds that our PM is literally in bed with. Disaster capitalism is quietly driving our politics – each new disturbance shakes money from the tree: investors panic so funds get moved around and Capital Group take a cut of the transactions. The chaos is in Philip and Theresa’s personal interests, despite the murderous effects on the rest of us. Theresa’s obduracy is in fact American neo-liberalism in full swing. It is a clear demonstration of what the Tory party has become since Thatcher. What was the political front for domestic plutocrats has become the agent of corporate America and the global trillionaires whose interests Philip May so successfully represents . Will this recent episode in the Brexit saga lead to a vote of confidence, a resignation or even a functioning compromise on Brexit? Who knows – but what we do know is that as long as the Tories remain in power there will be disaster after disaster and increasing instability, greater confusion and insecurity among the population as their incomes and savings are raided. The Brexit disaster is just one of many such disasters. The only way to prevent these crises is to get the Tories out of power by any means, but preferably the ballot box. In the meantime, as long as Philip is behind her, Theresa’s political obituary will have to wait. Dave – Grime’s rising star Trump visit to UK: a weapon of mass distraction? Dan Carden MP talks Parliament, Jeremy Corbyn and music venue closures Stewart Lee: Liverpool Philharmonic Cosmic Slop #74: The musical genius of Tiffany Trump Cosmic Slop #87: Celebrity By-Election Morrissey – defending the indefensible? Jeremy Corbyn and the Labour Party Leadership – Shock as the loser wins again!